The winners of Vanitha Film Awards 2016 were declared. 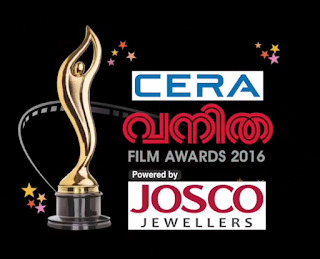 The popular Cera Vanitha Film Awards powered by Josco Jewellers was announced on 16 February 2016. The award event will be held on February 21st 2016, at the sports hub( Greenfield Stadium) in Karyavarttom Trivandrum. The awards in various categories for movies released in 2015 were made based on polls conducted by Vanitha and Malayalam Manaorama . Total of 22 Awards were distributed. The award ceremony was attended by film personalities in India. Life time achievement award in 2016 were given to veteran actress KPAC Lalitha. The movie Ennu ninte moideen bagged awards for Best Movie, Best Actor (Prithviraj) and best actress (Parvathi). This movie also won Asianet film awards 2016.